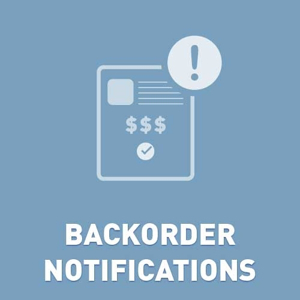 This plugin will automatically notify your customers about items in their order which are not included in the shipment. Customer orders the new iPhone6, a charger, and a protective case. You prepare a shipment for the iPhone6 and the charger, but the protective cases are out of stock. You mark the items as shipped, which triggers the ShipmentSent.CustomerNotification message template. The new message template shows "Partial shipment" in the subject. The message template includes a token to display the items included in the shipment, as well as a new token to display the item(s) which are backordered. Also included is a button for manual operation which allows store admins to immediately trigger an email to their customers informing them that their order cannot yet be fulfilled. This is especially useful for scenarios in which all items in the order are out of stock and you want to inform the customer about the delay before they can complain. Compatible with NopCommerce 4.10, 4.00, 3.90, 3.80, 3.70, 3.60, 3.50, 3.40.